Turn data into information with Zoho Books. View dashboards, reports and charts covering all your receivables, payables, inventory and more. Use your report data to make inferences and create robust, up-to-date business plans. See the details of your income and expenditure. 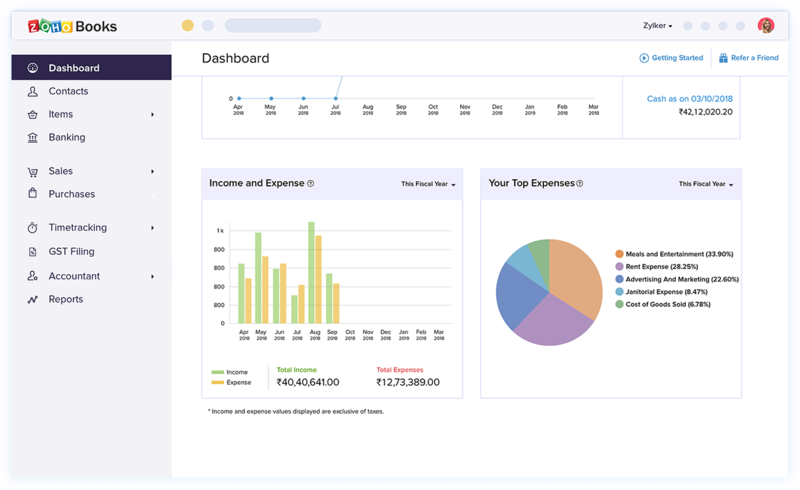 The dashboard shows you your total receivables, sales, top expenses and more at a glance. 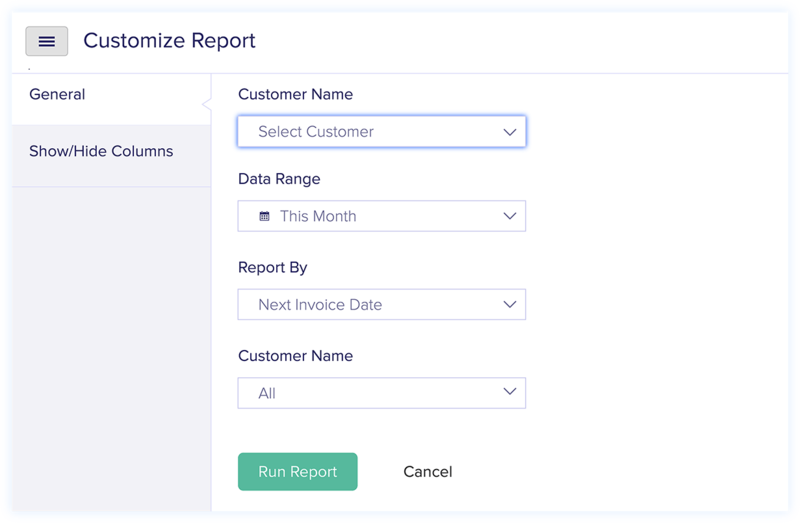 You don't have to wait until the end of the month to generate business reports. 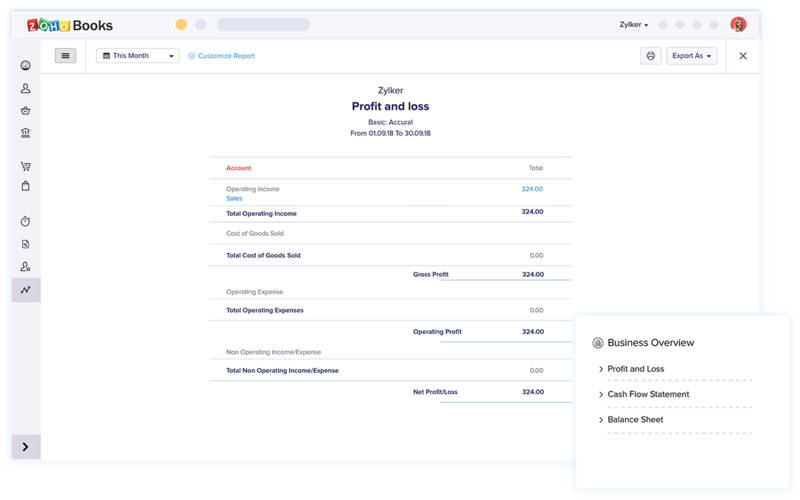 Generate reports like Profit & Loss, Balance Sheet, and Cash Flow Statement for your business any time you want them, and dig into the data to make business plans for the future. Zoho Books makes it easy for you to run business reports and share them securely with your team. 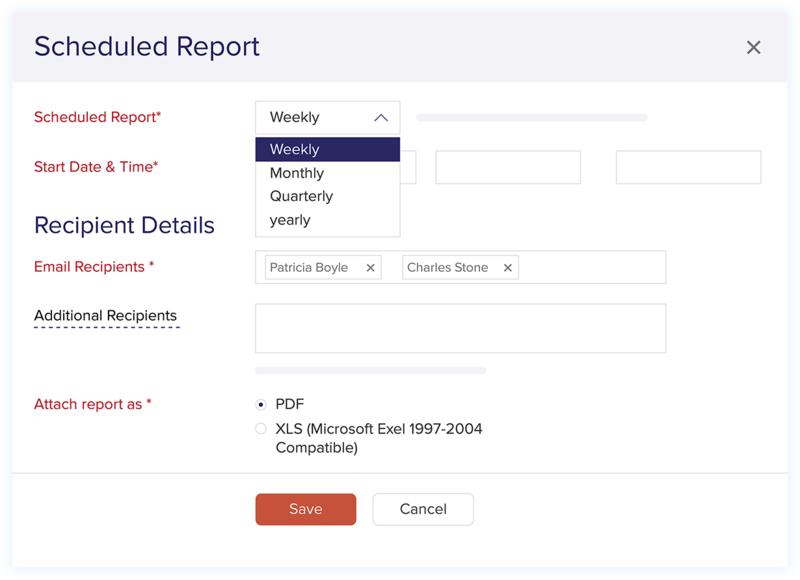 Add your collaborators to your organization with reports-only access, export reports in PDF format, or print hard copies to share in person. Zoho Books lets you schedule business reports weekly, monthly or quarterly depending on your preference. 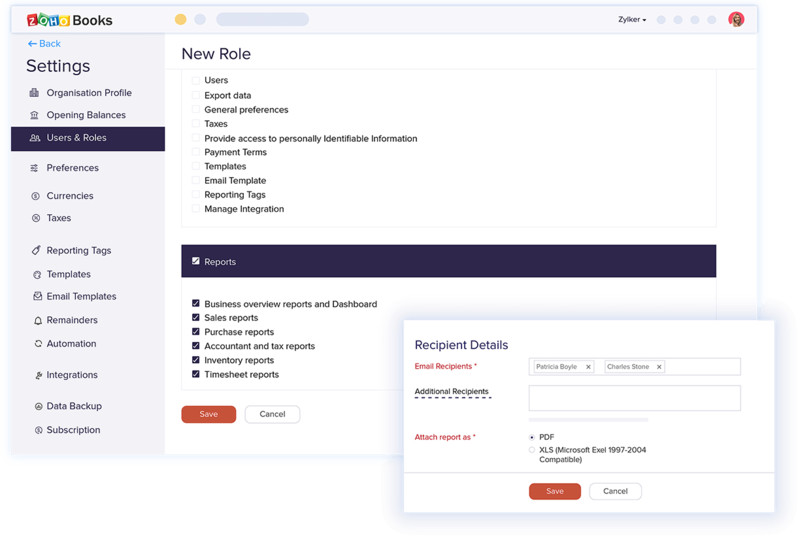 Choose the email address you wish to use and Zoho Books will automatically send the reports to you as they're generated. Selling products in different cost centers? 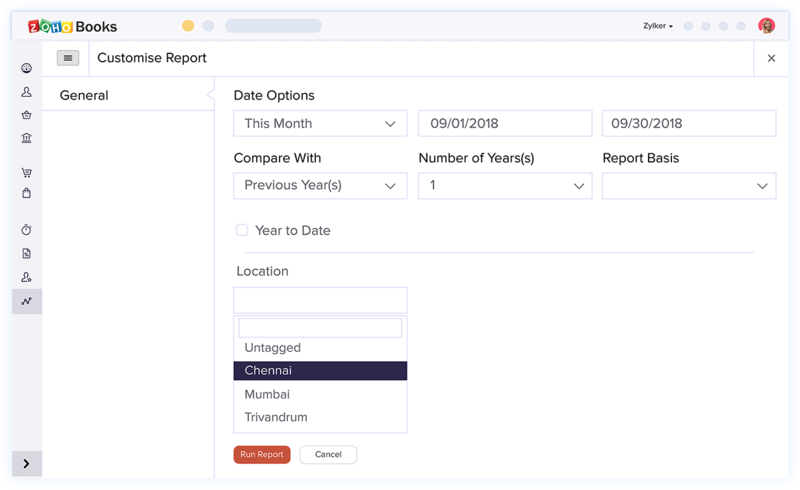 You can generate specific reports for each of these regions by associating a reporting tag with all the relevant transactions. You can also associate tags with your products and contacts and filter your reports based on the tags. 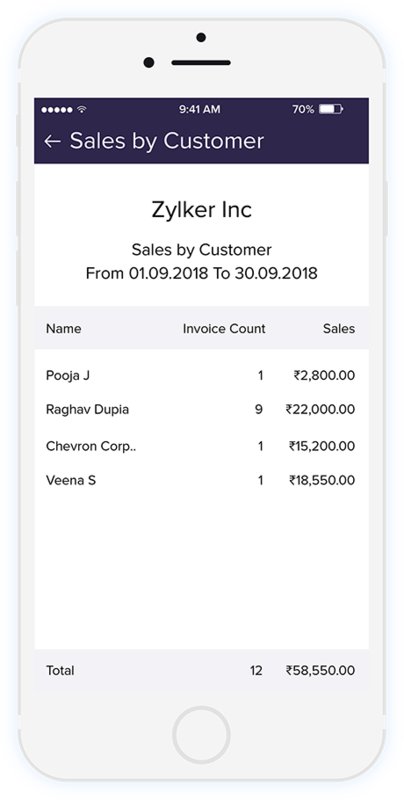 From setting date ranges to choosing what columns to display, Zoho Books lets you customize your business reports to suit your needs. Whether you're traveling for business or leisure, be in the know about your business health. The Zoho Books mobile apps let you view your business metrics no matter where you are. 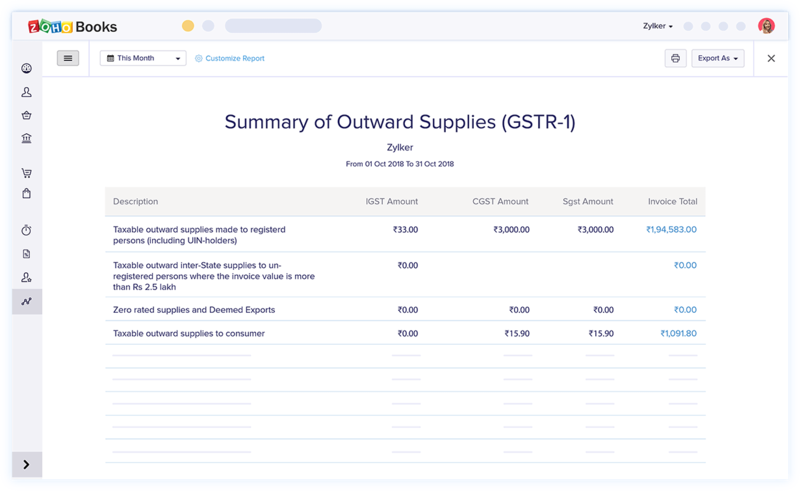 Zoho Books lets you generate tax reports depending on the regulations of your country. Calculate your tax liability with Zoho Books, and see the amount you owe in taxes. 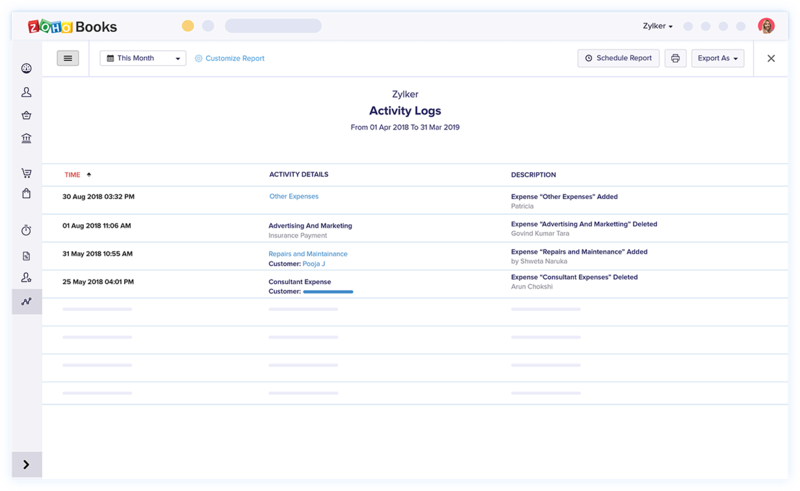 With the activity log report, be constantly aware of your business activities. Prevent fraudulent practices and track down errors to stay audit-ready at all times. 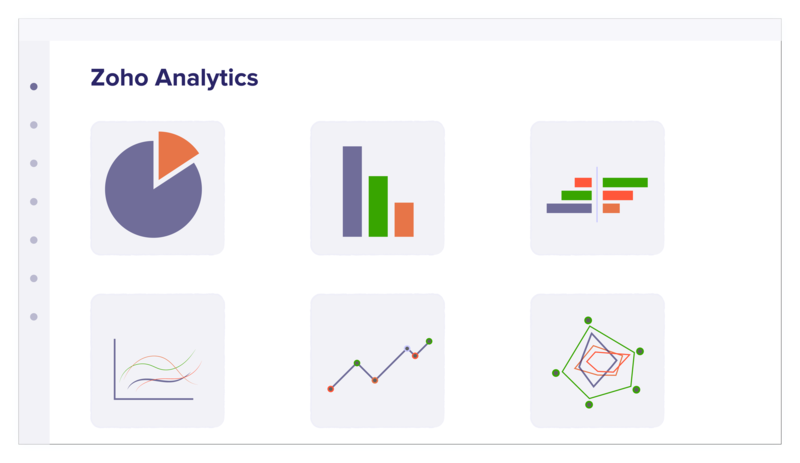 In addition to these 50+ built-in reports, get even more advanced analytics with our Zoho Analytics integration. Convert your Zoho Books data into actionable insights in no time. Simplify financial reporting with Zoho Books.